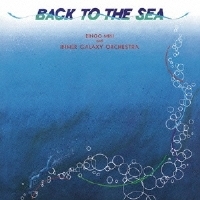 Back To The Sea is not just composer Bingo Miki's second album for the Three Blind Mice label. It was also the label's 100th album, and they went all out to celebrate the milestone and make this a historic recording. The suite with six movements was performed by an orchestra of 28 musicians, including three keyboardist playing piano, electric piano and synthesizers, respectively, and two vocalists. Other relatively unusual instruments include tuba, oboe and bassoon. The ambitious composition is complex, futuristic and expansive. The top caliber soloists elevate the music with inspired performance. Produced by Takeshi Fujii. Recorded at Epicurus Studio in Tokyo on June 20, 27-30, 1978. Blu-spec CD is compatible with all regular CD players. Paper sleeve special limited edition.